On this February 19,2013 broadcast of The Infowars Nightly News, Jakari Jackson interviews Wayne Madsen about the mysterious death of pilot and author Phillip Marshall. Mr. Madsen also weighs in on other suspicious murder/suicides. DHS Supplier Provides Shooting Targets of American Gun Owners. Democrats Introduce Bill to Allow Police to Search Homes of Gun Owners. WWE Creates Racist Wrestler to Demonize Tea Party. City Of L.A. 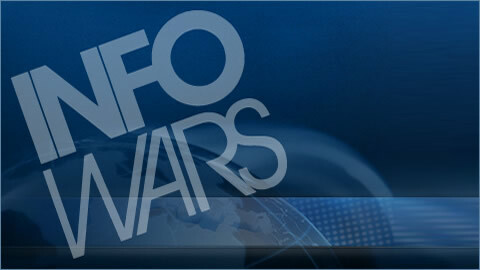 Targets Infowars Over "Illegally Posted Signs". Doctors say Down's Syndrome man died of 'asphyxiation' when arrested by three police officers for 'refusing to leave' a cinema. Autopsy finds that Md. man with Down syndrome died of asphyxia while in police custody. No grand jury in fatal shooting of John Williams. NYPD Protect & Serve? NYPD refused to intervene during an in-progress stabbing on a subway, where officers watched a man fend off a serial killer attacking Joe Lozito. Trooper who killed a grandmother in a 90-mph collision goes free after fellow officer who gave him citations MISSES trial. Sheriff Warns Of "Second American Revolution" If Gun Grabbers Get Their Way. Italian Lawyer Demands Public Prosecutor Investigate Bilderberg Group. FLASHBACK: Bilderberg Calls Emergency Meeting in Rome to Save Mario Monti Government. Tags: 9/11, America, antidepressants, Bill of Rights, Concealed Carry, Constitution, DARPA, david ortiz, DHS, Drone, eugenics, Jakari Jackson, Zero Dark Thirty.